Deepen your knowledge with a comprehensive, clinical approach to the scientific foundations of radiation oncology and general oncology as well as state-of-the-art techniques and modalities. Implement a multidisciplinary, "team care" approach to providing intricate treatment plans for patients, often in conjunction with medical oncologists, and surgeons. Broaden your understanding of the basic biology of the disease processes. Examine the therapeutic management of specific disease sites based on single-modality and combined-modality approaches. Quickly and easily find critical information thanks to an easily accessible, full-color design with over 800 color figures that clearly depict treatment techniques. 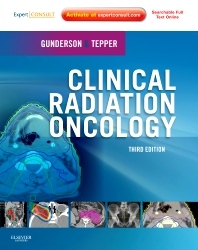 "The previous editions of this comprehensive textbook of radiation oncology have been considered among the definitive resources for practicing and in-training radiation oncologists…This updated third edition should be a part of all radiation oncologists' reference libraries. It incorporates the pertinent scientific principles, technical aspects of treatment planning, and details of the diseases germane to the field of radiation oncology."